Two-in-one landscape design. Functional elements are no longer a perk, but rather a necessity in today’s landscapes. Consumers want stunning outdoor features that have been cleverly designed to serve a dual purpose. 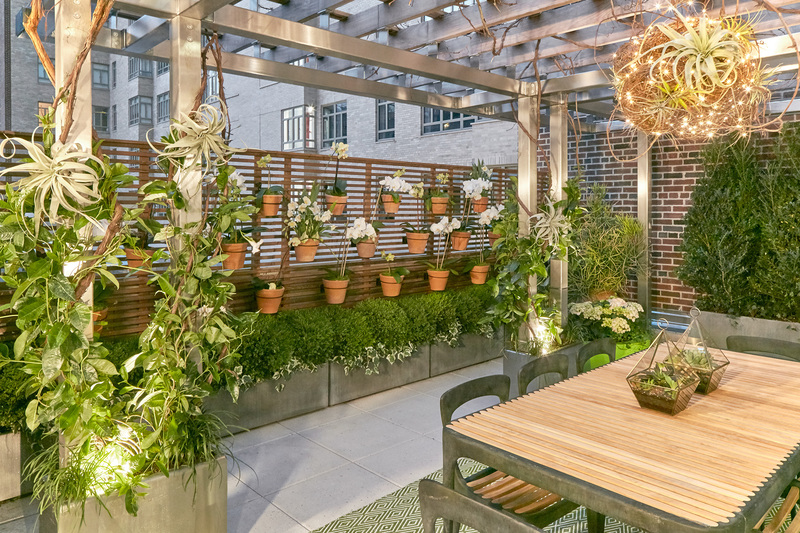 An edible vertical garden on a trellis that acts as a privacy fence, a retaining wall that includes built-in seating for entertaining, and colorful garden beds that divide properties all combine function and style. Automated lawn and landscape maintenance. The latest technology and equipment allow tasks to be more streamlined and environmentally efficient than ever before. Robotic lawn mowers continue to rise in popularity among both homeowners and landscape professionals, and programmable irrigation systems and advanced lighting and electrical systems are making outdoor spaces extensions of today’s smart homes. Homeowners like technological advancements that give them with more time to relax and enjoy their outdoor spaces. Showpiece pergolas. A staple of landscape design for years, pergolas constructed of wood or composite material are now becoming more sophisticated with major upgrades, including roll-down windows, space heaters, lighting, and sound systems. When paired with a luxury kitchen, seating area, or fire feature, a pergolas can become an iconic structure for an outdoor sanctuary. Pretty pink. Pops of coral and blush are anticipated to add a more feminine touch to landscapes this year. With Living Coral named the color of the year by Pantone, landscape professionals predict that this rich shade of pink could bring fresh blooms of roses, petunias, zinnias, and hibiscus to flowerbeds. Experts also anticipate light blush tones to become a new neutral and another option for hardscapes and stone selections. Mesmerizing metals. Whether homeowners want a bold statement or whimsical touch, incorporating metals can bring new dimensions to landscape design. Used for decorative art, water features, or furniture and accessories, metals including steel and iron can make for lovely accents or focal points. NALP develops its trends reports based on a survey of its members, landscape professionals representing various regions of the U.S. For more information or to find a qualified landscape professional in your area, visit LoveYourLandscape.org.